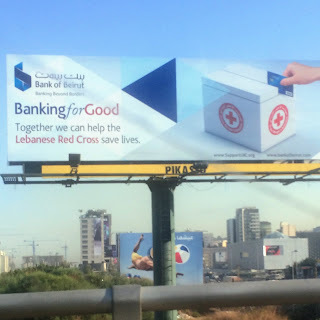 Now that is an interesting move, if you go log in to the designated website you would be able to donate immediately to the Lebanese Red Cross in an act called twining between Bank of Beirut and LRC. The website contains immediate updates as to what the LRC is doing and which tasks it is handling in a very primitive layout. 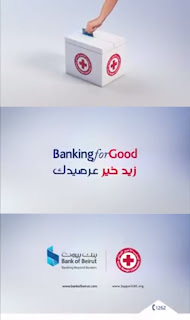 Naturally, it is the customers of the bank who are to donate, no word if the bank itself is contributing anything or not. So this is perhaps a CSR, but done in effect by proxy. 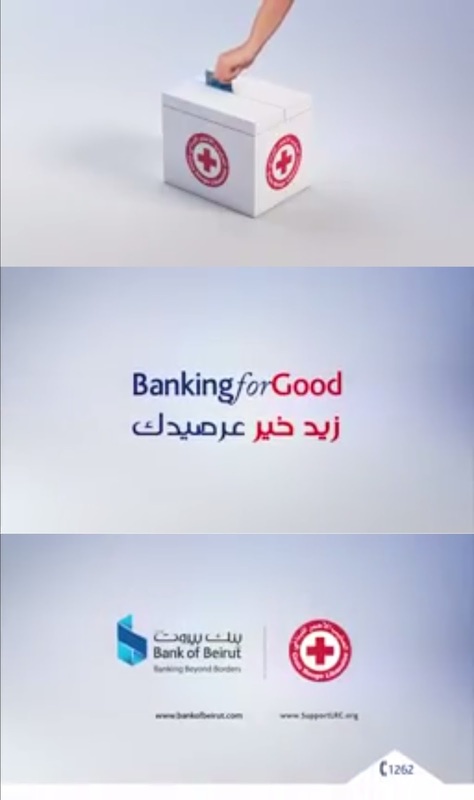 Again, I shall be honest, I have no clue what this means to the bank as such. The swiping of the card instead of putting money inside the LRC collection box is a nice wink - if only one understood what it meant on the ground. Via SMS I got alerted it has to do with the "change" which can be rounded up and paid via card, but apparently one has to subscribe to the service and wait for an "employee's phone call" as the text precises.